Flip 'n slide game of tic-tac-toe! 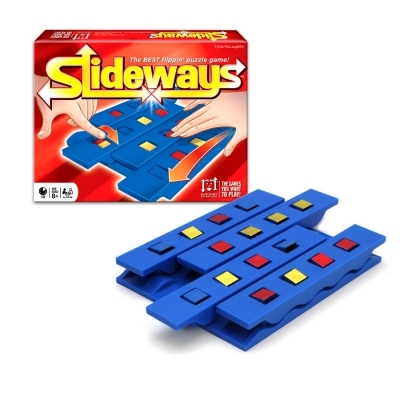 Slideways is a fast-paced puzzle game of logic and skill that raises the bar on fun as players try to outwit their opponents. Move your bar on the board or flip colors to get four in a row. Love this game. Lots of fun for all ages. Addicting. It is the best little game out there! This game is a lot of fun. I play it with my friends and family and we all love slideways. It is so handy to play in the car when travelling. It makes Tic Tac Toe much more interesting. 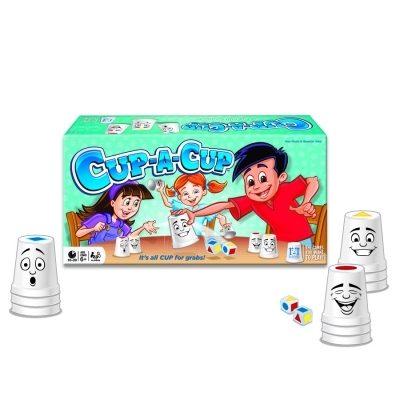 I like the small size of this game but that it puts a new twist on an old game. Looks like a new way to play tic tax toe. Great for traveling.